Of course WWE or WWF have the word "World" in them so it should come as no surprise that this global company took the show on the road back in 1992. That was the first time SummerSlam or any WWF pay-per-view had originated overseas. If my memory is correct, I think it may still be. At the very least SummerSlam '92 is the only of the Big Four to do so. Wembley Stadium in London played host to the event. The stadium was huge as you can see in the pictures. 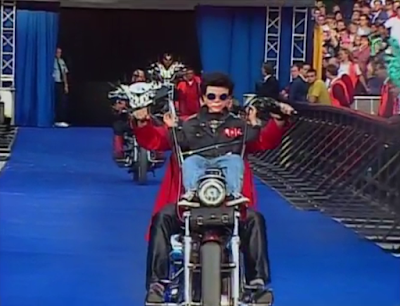 More than 80,000 fans were on hand as the Legion of Doom rode motorcycles to the ring for Hawk and Animal's last match together (at least for a while). 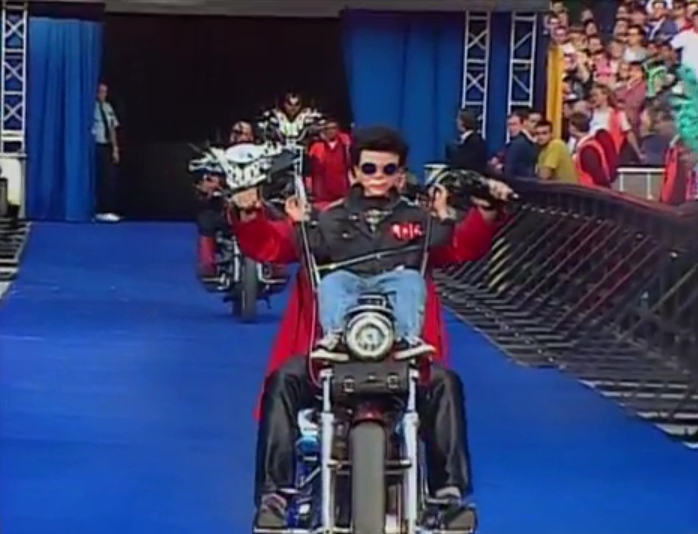 Remember Rocco the Dummy and Paul Ellering were on bikes too? They beat Money Inc. that night. Undertaker made his in-ring SummerSlam debut despite being with the company nearly two years at that point when he beat Kamala. The WWF championship match was not the main event of the night. It was a rematch from the previous year's Wrestlemania as Randy Savage defended the belt against the Ultimate Warrior. By this point, both were good guys. Warrior wore a singlet that looked like something Mr. Goodbody would have been proud. The match didn't compare to their Wrestlemania VII classic which is my favorite Mania match of all time. Ric Flair and Mr. Perfect interfered in the match, and Warrior ended up winning via count out. Savage dropped the belt a few weeks later back to Flair. 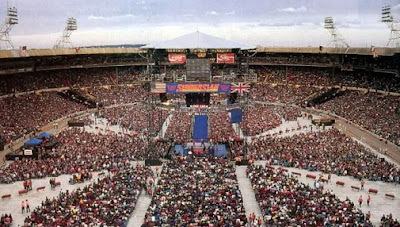 The main event of the night featured hometown hero The British Bulldog Davey Boy Smith against his brother-in-law Bret Hart for the Intercontinental championship. Again, this was a good guy vs. good guy matchup. I believe it's the first and only time the IC title match was the closer on the show or any major WWE pay-per-view (not counting the title vs. title match between Hulk Hogan and Warrior at Mania VI). The company did a great job putting this story together and Hart and Smith did an even better job in the ring. The celebration afterward with Diana Hart-Smith was very memorable too. I wish Bulldog could have held the title longer, but I know the company had other plans.